Opening of Powers Supermarket in Ballyfermot. 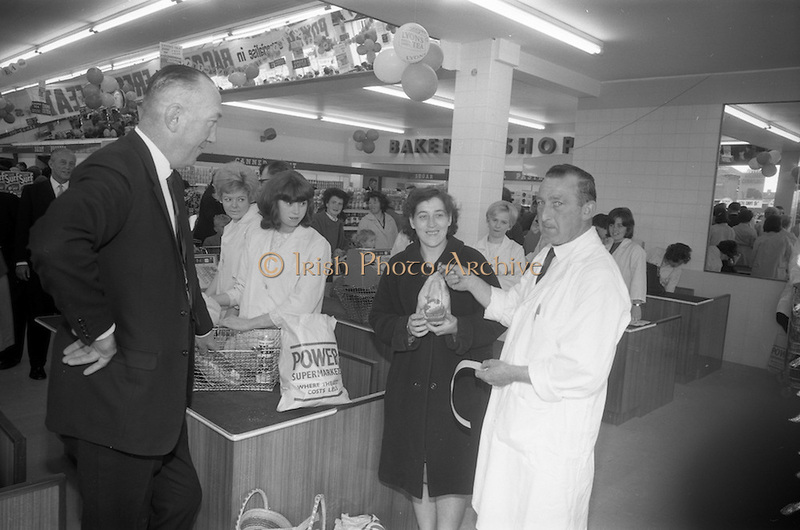 Picture shows Mr. H. Hall of Powers Supermarket, presenting the free chicken to Mrs Agnes Farrell of Ballyfermot on opening day. A free chicken was given to each purchase of goods over £2 value.